So your manager's email style is questionable. Cut her some slack. Before freaking out over your manager's frequent late arrivals to your meetings, find out why she is tardy. What would you give to be able to call out your boss on every annoying thing he or she does? What percentage of your paycheck, part of your soul or expendable phalanges would you sacrifice for the freedom to threaten to fire her if she's late to another one of your meetings? Of course, these aren't questions your manager has to dwell on. She's allowed to point out all your not-so-endearing quirks – free of charge for her and her soul. You, on the other hand – or rather, on the other end of the totem pole – are typically better letting her frustrating habits slide. But before diving into another firing fantasy, ask yourself: How big of a deal is it, really, that she's late to your meetings? Maybe it seems like a grander gesture than it really is, because managers' actions and words often feel loaded to employees. Skip Weisman, leadership and workplace communication expert, gives an example about a manager he trains: The manager's employees pointed out that every time the team comes to her with an issue, she lets out a sigh. Tiny breath, huge effect. From the manager's point of view, the sigh is for her – it's a beat where she can adjust to the new situation and wrap her head around a solution. But to the employees, it seemed like the manager was exasperated or even angry that they handed her the issue. "Bosses have a huge impact on the people below them," Weisman says. So you're probably not the only one keeping track of how often your boss arrives late to your meetings or obsessing over a six-word request he emailed you. Some things you have to just let fly, and others may be worth mentioning. Your boss's emails are always short – curt, even. You spend 20 minutes crafting the perfect project-update email to your manager. You triple-check the facts and obliterate typos. You obsess over word choice. You suffer a near breakdown debating between "Hi Bob," "Hello Bob," "Hey Bob" or the always-bold (but too bold?) "Bob –." And then – behold – your boss's reply: "Sounds good." Or: "Thnaks" Or: "K."
Or maybe it's your boss emailing you first, with fewer words than most texts: "Please [do X]." End of email. That's it. 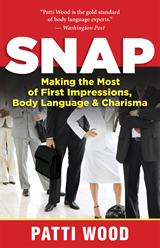 "They make a request, and then they're done," says Patti Wood, body language and communication expert and author of "Snap: Making the Most of First Impressions, Body Language & Charisma." "There's no preamble; there's no small talk; there's no 'how are the kids' kind of thing." It feels a lot like a pre-breakup epiphany:I'm putting so much more effort into this (email) relationship than he is. So try not to read too much into succinct emails – not that there are many words to read into, anyway. When managers shoot off these quick replies and requests, "they think they're being expedient and using their time effectively," Wood says. She adds that, in some situations, the succinctness can be interpreted as flattering. Your manager doesn't need to hold your hand through a five-paragraph email or outline every detail of a request or reply. "Think of it like: 'OK, they sent this to me because I can take care of it,'" she says. He yells more than speaks. Remember that old "Saturday Night Live" Weekend Update segment in which Will Ferrell plays a guest who can't control the volume of his voice and thus yells everything he says? Maybe your boss suffers the same fictional "voice immodulation" disease. To be clear, there's a difference between being loud and being abusive. (Here's a real example of a boss whose yelling is a form of abuse, along with tips for how to cope.) One way to decide if you should forgive this yelling as a personality trait or take it personally is to observe how your boss speaks to everyone else. If he is yelling only at you, that's a problem, Wood says. But if he does that with everyone, she says "it really doesn't have anything to do with you." And if your boss has otherwise nurtured an open, cooperative environment, you might want to gently point out the issue to him, she adds. 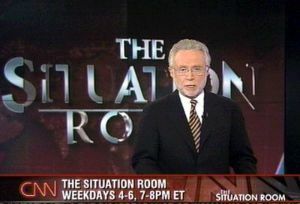 Laura McMullen is the Careers editor at U.S. News and was previously a Health + Wellness reporter. You can follow her on Twitter, connect with her on LinkedIn, circle her on Google+ or email her at lmcmullen@usnews.com.